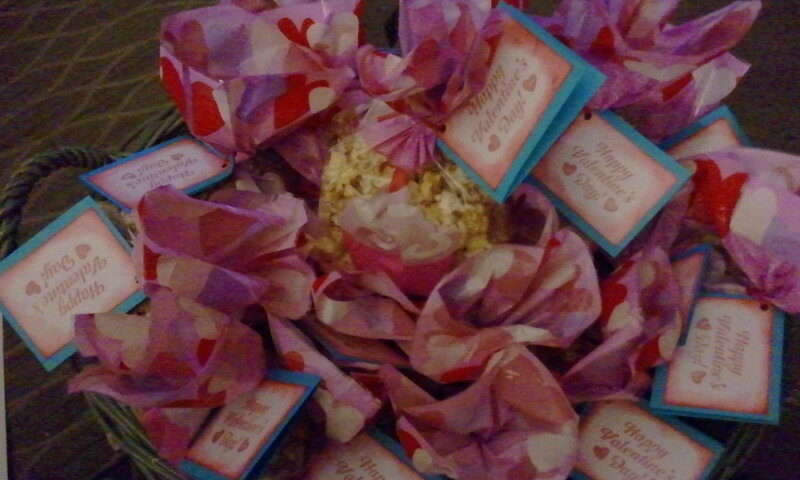 I have to say first off I got the idea to make popcorn treats at Nest of Posies. OK, so i thought hey I can do this. But of course i had to fall asleep in the middle of the day and not wake up till after 6pm last night because I was trying to recover from still being sick after 3 weeks of catching colds and flu's etc. So I jumped up cooked dinner, ate then ran to Michael's 20 minutes before it closed, got my bag of Candy melts ( only because my mom and kids surprised me a week earlier by making candies with the melts I had already bought early so I would not have to rush) and some bags to put the treats in. Then ran to Kmart only thing open after 9pm close by and got popcorn. Then ran home and started on the Popcorn Confetti. Only to realize I did not read the directions right on melting the melts, even though I have used them tons of times before and always gotten right. So I over cooked the melts. So as not to go on it was a struggle getting these treats done but it is really a simple process and was all worth it. Oh and I had to improvise because i did not have enough of anything. And now some tips & directions. Follow directions on popcorn and melts for cooking and melting. Then get a giant bowl Ok I had a huge bowl but you need to make a batch of 10 at a time to have room to mix. Put popcorn in the bowl, pour well melted melts on top and just start mixing with a large spoon or rubber spatula. 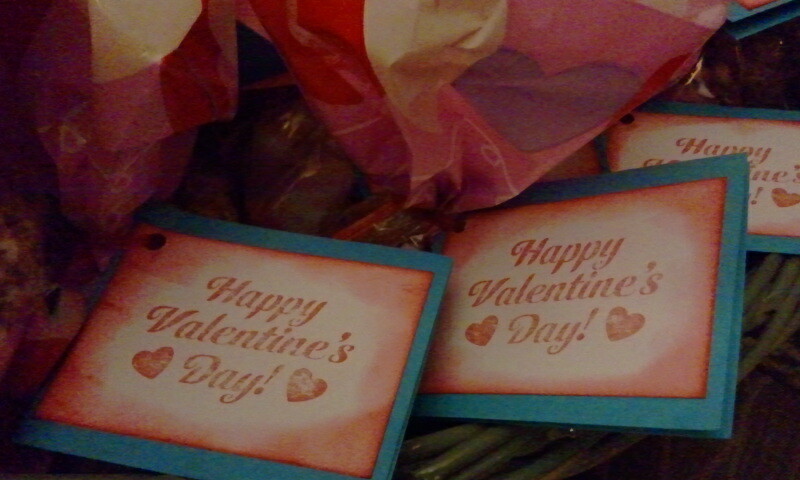 then pour in your candies and mix again then spoon into bags add tags and ribbon. Then make the next batch of 10. Really does not take as long as it took me. Tags: My tags were super simple. I took a 2 1/2" x 6" cardstock in blue and scored in half to make a card. Took a 2" x 2 3/4 " white cardstock and stamped a sentiment on it and inked edges of white with red ink. Just taped together and punched a hole in the upper left corner of the card and used the twist ties that came with the bags to attach to the bags.